Since he came into office, Donald Trump has been spending as much time repealing bills from the previous administration as he has on the golf course. “Signing them away,” he says. In typical Trump fashion, most of his decisions have been the you-like-it-or-you-don’t kind, and it really depends on which side of the crossfire you get caught on. This past week saw developments that the entire vaping community should be rejoicing about, much to the chagrin of the FDA. 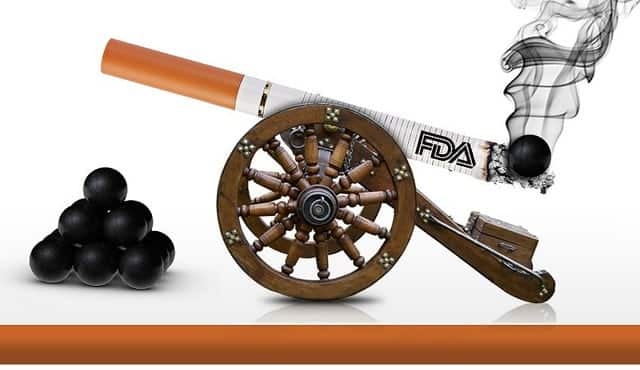 As you too well know, one of the most unpopular regulations the FDA has ever imposed on the e-cigarette industry has been the decision to bundle electronic cigarettes into the same category as their traditional counterparts – despite the fact that there is no tobacco in e-cigs. Infamously known as the deeming rules, most of the items contained in the cruel 499-page document would bring the vaping industry to its knees were it to take effect as scheduled in 2018. See Summary of the Insane New FDA Vape Regulations. This is Really, Really Bad. However, there is cause for optimism if the latest developments witnessed this past week are anything to go by. It was a week that provided great opportunity for the vaping industry to achieve the impossible: the granting of a legal reprieve from the incapacitating FDA rules through a bill introduced by Reps. Tom Cole (R-Okla.) and Sanford Bishop (D-Ga.). The provision seeks to have thousands of vaping devices currently on the market exempted from FDA approval, and was an addendum to a proposal seeking to pass a spending measure to avoid government shutdown starting last Saturday (April 29). The move came in the wake of intense lobbying from more than a dozen conservative groups who wrote to congress asking them to add a provision to the spending measure that had to be passed by Friday at the latest. With all the contentious issues that remain unresolved between the two sides, it comes as no surprise to learn the funding bill did not pass Friday, and with it, the state of the vaping regulation still hangs in the balance. Instead, Congress opted to buy itself more time by passing a stop-gap bill to keep the government open for another week, a window which ends on the midnight of May 5. Should the bill be approved and the vaping amendment left intact, the FDA rules would cease to be on the day the bill is signed into law. And so we wait with baited breath.